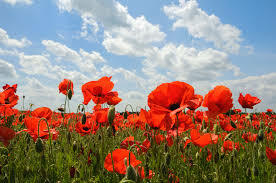 The Annual Remembrance Day Parade forms up in front of the Branch on Byron St. South at 10:15 a.m. The Whitby Brass Band will lead the parade. The Parade marches off at 10:30 a.m. The parade proceeds north on Byron St. to Dundas Street, east on Dundas past the four corners and arrives at the Cenotaph at approximately 10:40 a.m.
Stores Begin to Re-Open on Brock St. S.